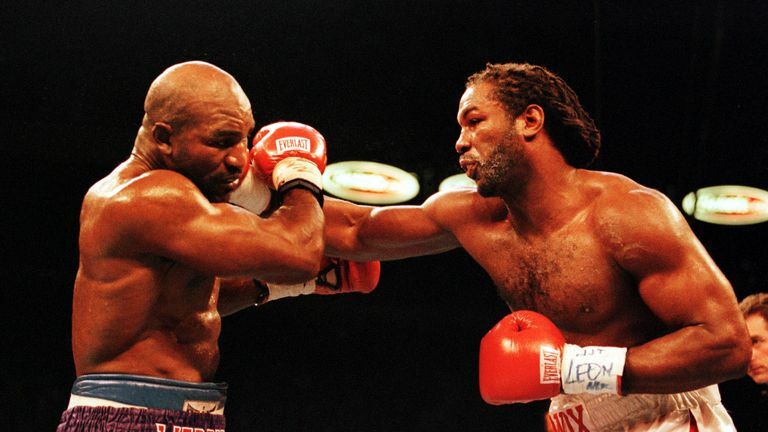 Lennox Lewis hopes Anthony Joshua will soon receive the opportunity to become undisputed heavyweight king, almost 20 years after he conquered the division. Britain's current champion defends his WBA 'super', IBF and WBO titles against Alexander Povetkin in front of an expected attendance of up to 90,000 at Wembley Stadium this Saturday night, live on Sky Sports Box Office. Joshua remains eager to battle Deontay Wilder for the last remaining WBC title, although the American has accepted a challenge to face Tyson Fury, and Lewis hopes the trio can cross paths in the future, just as he did against rivals such as Evander Holyfield and Mike Tyson. Lewis told Sky Sports News: "I remember being in that situation where everybody was saying, 'Holyfield is the best, Tyson is the best. I'm the best.' But I just buckled down and I wanted to show the world that I was the best. "A lot of big guys, serious guys that want to be heavyweight champions of the world are out there. A lot of good match-ups down the line. "Anthony Joshua, Tyson Fury stands out, Deontay stands out. There's a lot of heavyweights that are standing out, but there's a few of them have a lot to learn still. "It will come out in the end who really steps up. Hopefully they'll get the ball rolling soon." Joshua admits a potential fight with Wilder could be a high-risk shootout between two of the sport's biggest punchers, although he relishes the chance to share the ring with the 'Bronze Bomber'. He said: "I know it's going to be a 50-50 fight, because of my lack of experience in terms of rounds, but in terms of what I've been through in that short space of time, I know I'm ready to rock and roll. "I don't fear any of them."